I’m always looking for new recipes to try out – esp holiday favorites from around the world. 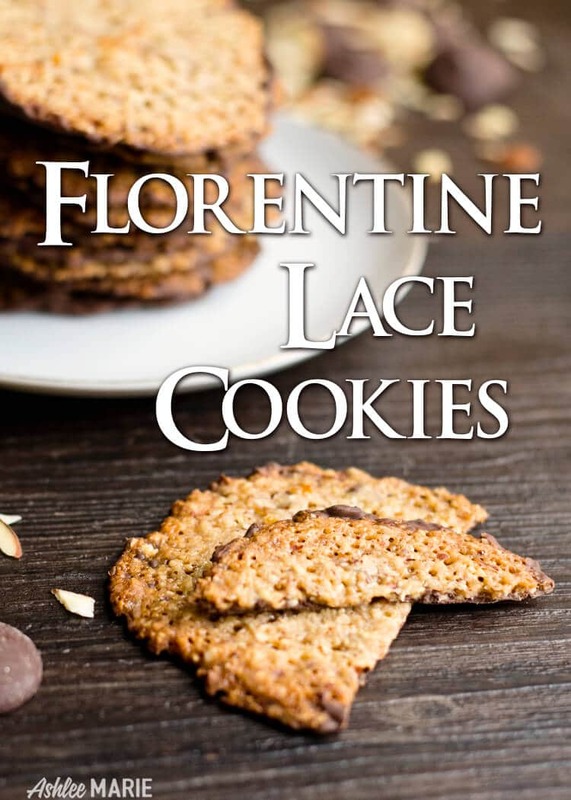 So when National Cookie Day came up – today – I decided to give these Florentine italian almond lace cookies a try! 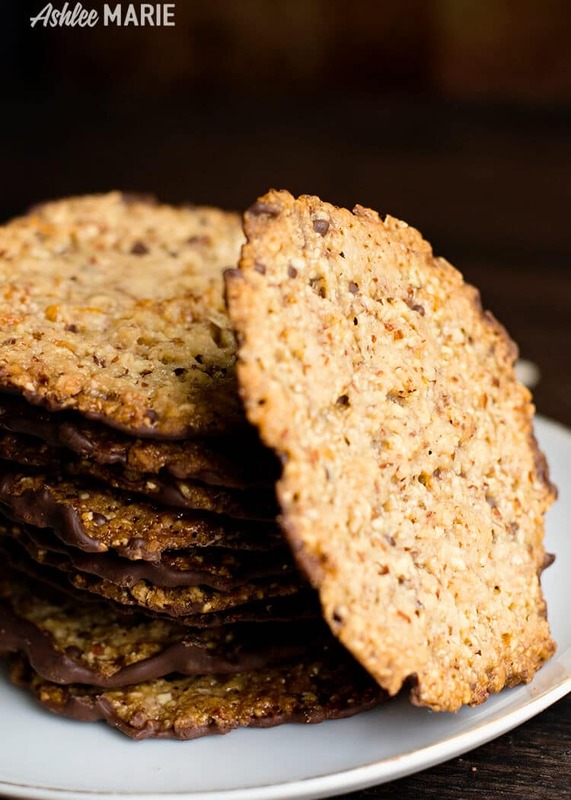 They are so very easy and I love the slightly sweet cookies with a great crunch. You can enjoy them plain, or shape them into cones or tubes, or drizzle chocolate over the top – or my preferred way? spread some chocolate all over the back (everything is better with a little chocolate, right? Some recipes call for chopped up cherries or other fruit – but I like them thin and plain. 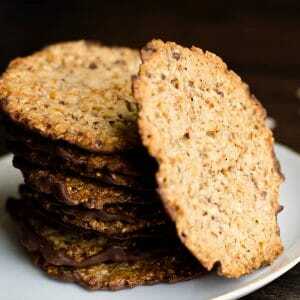 I have also seen them with some chopped hazelnuts in addition to the almonds, I might try that next time. Toast the almonds, either in a dry pan over medium heat (stirring occasionally), or in a shallow pan in the oven, for about 5 minutes or until golden brown and fragrant. Place the almonds in a food processor or mini-chopper, and pulse a few times, until they are coarsely chopped. Transfer the chopped almonds to a bowl and add the flour, salt, and orange zest. Toss to combine. Place the sugars, cream, and butter in a small pot and cook over medium heat, stirring constantly, until the sugars are dissolved and the butter is melted. Increase the heat to high and bring to a boil. Word of warning – they spread much more than you’d expect so make sure you leave enough room, no crowding these cookies. You don’t want them falling off the edge of the pan or merging with another cookie. The first pan I made I only did like 2 cookies just to test how far they spread and be able to better eyeball how many more I could fit for the next round. And of course with it being national cookie day the Celebrating food holiday bloggers have some new cookie recipes to share with you!!! 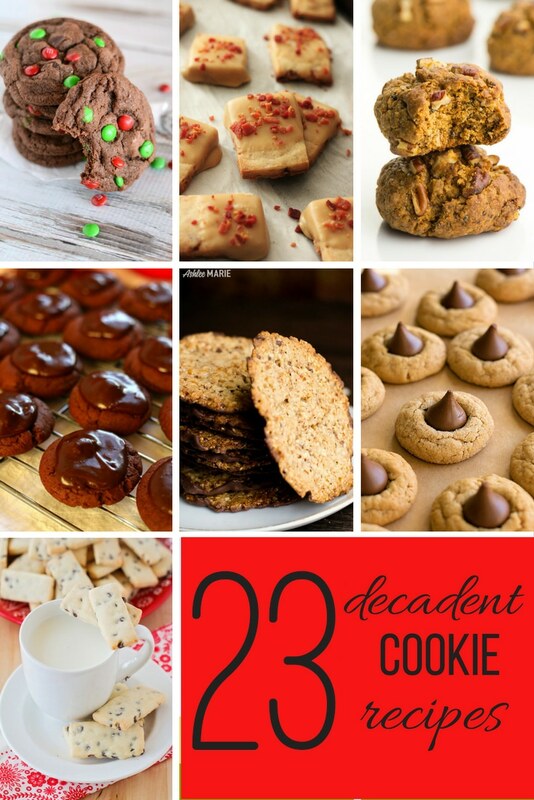 And here are some of MY cookie recipes for you to enjoy! 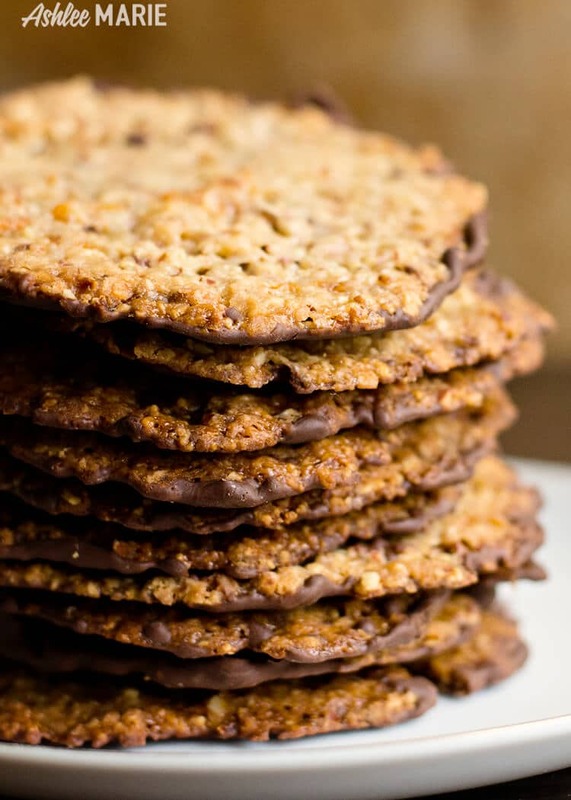 So what is your favorite cookie to make this time of year??? 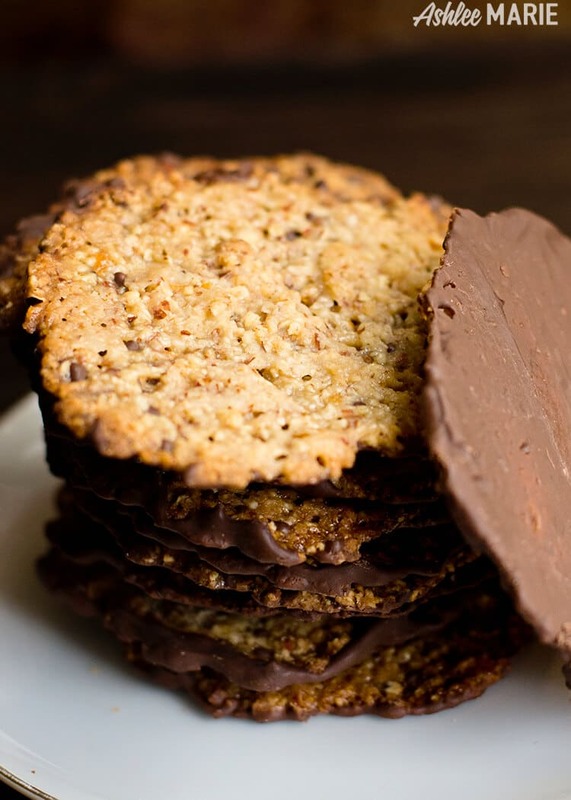 I have always wanted to try these cookies, and I agree with you, the chocolate on the bottom would be a must!